A Kingdom held hostage. A thief lost in time. The battle to seal Elsewhere has begun. Across the known world, Sora deals with the loss of her one and only friend. She seeks out a Mystic of the Panping; someone who can help her figure out what really happened to Whitney in a journey that illuminates her past and present. With the true nature of magic revealed to her, she finds that Whitney is lost in Elsewhere, the world between worlds, and she’ll stop at nothing to bring him back. 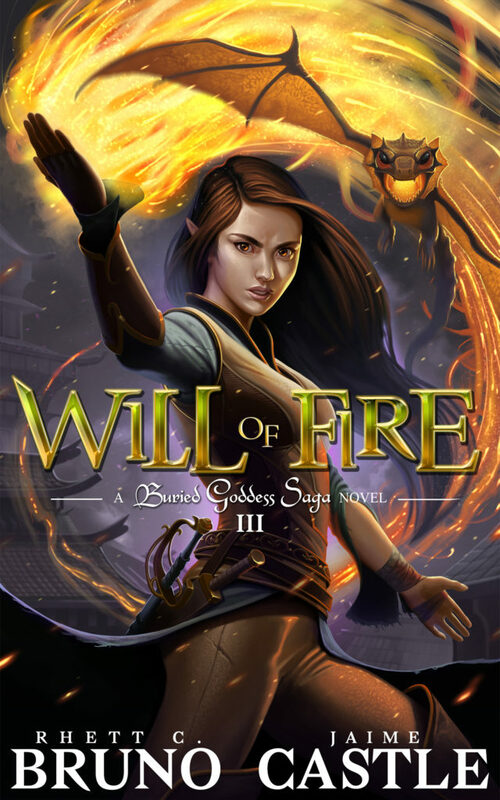 As magic and war collide in Will of Fire, the third installment in the Buried Goddess Saga, the fate of the entire world will change. Grab your copy today! You can also get it on Audible narrated by the award-winning Luke Daniels. Book 4, Way of Gods, will be coming in the first half of 2019!